I keep reading about Wisconsinites inability to handle roundabouts - - one in New Berlin comes to mind, as folks there seemingly cannot handle anything sorta new - - so it occurred to me that a nice quiet light or commuter rail line option might actually be therapeutic in these instances. That the plan to be submitted for consideration is less expensive than other reasonable, relatively-comparable alternatives. Waukesha has pegged its preferred option - - a pipeline connecting the City of Milwaukee Water Works for inflow, and a pipeline for treated wastewater for return to the lake via Underwood Creek - - at $76 million, plus another $5-6 million annually for operations. The other options - - shallow aquifer well fields, or a treated wastewater pipe all the way back to an MMSD hookup - - at many millions more. So how good are these estimates? I asked Daniel Duchniak, general manager of the Waukesha Water Utility, to send me the documentation used to compile the estimates. Duchniak and Mayor Larry Nelson had released the estimates as a part of their big presentation a couple of weeks ago at Waukesha City Hall. You can access the presentation at this utility website, opening the Oct. 12 presentation powerpoint. But Duchniak declined to provide the documentation, saying they were in the hands of hoi consultants, and did not respond to a follow-up assertion from me that these were indeed public records. The consultants work for the utility. The region and Waukesha are headed down a rough road if records used to produce public presentations are withheld. I hope Waukesha rethinks its approach to Open Records; this is not the transparent process promised time and time again by Nelson and others pushing the Waukesha pitch for Lake Michigan water. I ran across some interesting data from the Lawrence Berkeley National Laboratory the other day describing how much energy we/I waste when appliances are not in use, but remain plugged in with those little red or green "on" lights illuminated. I've seen these charts before, but this time I saved it. Cable box with DVR: 43.36 w.
Now multiply all these devices by the millions and billions owned here and abroad and you get a sense of how much electricity and generating power we waste everyday. Declining to raise a few taxed pennies per drink to fund drunk driving reforms, (sic), State Legislators continue to demonstrate their inability to confront the states' drinking culture, or its lobbyists. The weak package of reforms will do little to curb drunken driving and its highway carnage. Just why do these people even run for the Legislature - their disinterest in policy and leadership is palpable. Congratulations to everyone who worked hard to get The Open Book ready for its Nov. 7th grand opening. Change is difficult, even if the outcome will be cleaner air over the Great Lakes. And by the way, do you think the SS Badger will somehow wangle an exemption from recent EPA action and remain as the only coal-burning ship on the Great Lakes - - complete with hosing out the boilers and washing the ash into Lake Michigan? Forging ahead with a separate engineering school on the County Grounds is a contradiction for an urban university with a school of urban planning, but that's the vision of the chancellor, so be it. Some engineering professor can use his own students' construction-induceed congestion to study the effects of highway building on drive time, as there is eight years of Zoo Interchange work ahead for the new school's front door. Does Waukesha Really Want Public Input Into Water Plan? A few words about that posted at OnMilwaukee.com. Good news: maybe those plans to drill under Lake Erie can be shelved, too. How Will Scott Walker Deal With MPS/Mayoral Control Bill? Now that Gov. Jim Doyle is moving towards legislation to shift control of Milwaukee's schools to Milwaukee's Mayor, it'll be interesting to see how Scott Walker, the state's consummate spin artiste, will dance himself into a coherent position. He can't back Doyle, because Doyle is a Democrat and Milwaukee Mayor, another Democrat, is a potential Walker rival to succeed Doyle in 2010. But he can't oppose the measure without endorsing the status quo, which despite the heroic efforts of Milwaukee teachers (unionized!) and other employees is not turning out the next generation of skilled graduates needed by state businesses and colleges. I look for some buzzwords, but no real solutions. More problems on the Wisconsin wind power front, this time at large proposed project north of Madison. 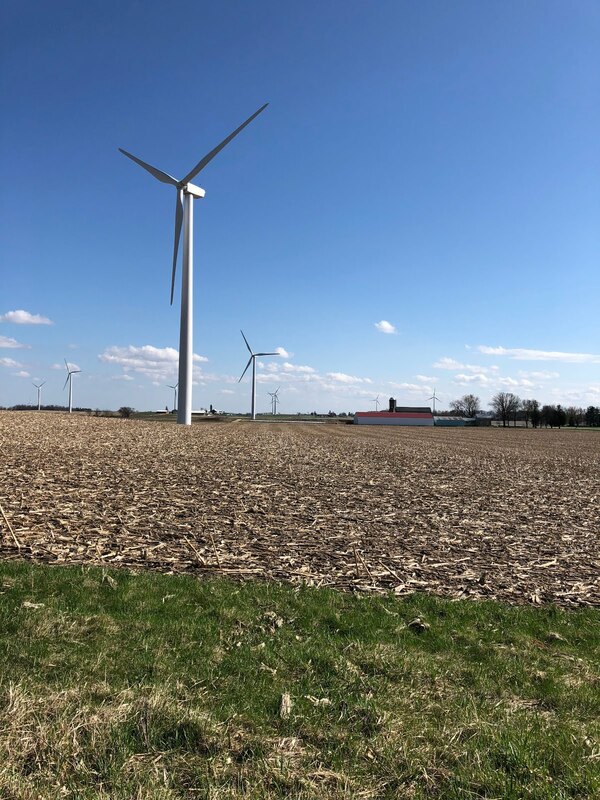 I sympathize with neighbors who say the turbines are noisy and discombobulating: let's hope that better siting can resolve the objections, as the state and nation need alternatives to coal plants and wind offers some real, immediate benefits. Darryl Enriquez is going to run for Mayor, reports blogger Cindy Kilkenny; she says six people have taken out papers to challenge incumbent Larry Nelson. Darryl covered Waukesha and Nelson for years, so if anyone knows where the bodies are buried, it'd be Darryl - - a former JS colleague. Lawton Is Out, So Is Barrett In? Another Democrat declines to run for Governor. That former DNR Secretary Scott Hassett's abrupt replacement by Gov. Jim Doyle was tied to some degree to the DNR's 2007 regulatory enforcement action against the UW-Madison's heavily-polluting downtown coal-fired Charter Street power plant. The action, and resulting settlement, will end the polluting coal-burning operation, and that's a good thing- - but it pitted two state agencies against each other. Doyle, of course, had every right to replace Hassett. He was an at-will employee, but the timing raised lingering questions and intrigue. Any DNR Secretary is a high-profile figure in a politically-consumed and heavily-networked town. The story speaks volumes about internal and external politics and I don't think we've heard the last of it. The Value of Water, Part 1: More Than A Basic Burger? We're going to be hearing a lot in the Milwaukee area in the next year or two about the value of water. That's because Waukesha may get permission to buy Lake Michigan water from Milwaukee - - the preferred supplier - - or Racine, or Oak Creek, and will likely agree to pay a regional services cost-sharing fee on top of state-established per-gallon water rates. In 2000, Waukesha's Water Utility service territory had 75,500 residents. The 2028 projection is 85,800 and to eventual "build-out" - - 97,400, so keep in mind that Waukesha's water service is projected to grow by about one-third - - that is a heck of a lot of growth, development, tax base and political power moving into and around the City of Waukesha. What's the impact of inserting Milwaukee water there? What is a fair price for shipping the water. broadly-defined? Various consultants and politicians will weigh in on a regional water service fee, and how to calculate it, and I will offer some perspective in an occasional series, The Value of Water, on this blog. Reader comments or suggestions are welcome, too. This first installment is a simple reminder of how little a fee Milwaukee accepted from New Berlin last year when the two sides made a deal to pipe Lake Michigan water to the central one-third portion of New Berlin. The fee was $1.5 million covering the entire 20 years of the contract - - or $75,000 a year. I said at the time that the fee was a pittance, especially since the area to be served by the water, officials estimated, could grow by 1,100 homes and nearly 6000 jobs. Which is a lot of new tax base and spin-off development -- enhanced, no doubt, by Milwaukee water. Now divide Milwaukee's 604,447 residents - - the current official population estimate - - by $75,000. Yes, that's right. Your calculators are not lying: 12.4 cents annually, per resident. So while you're debating if that was a good deal for Milwaukee, or a better deal for New Berlin, think ahead to what sort of payment Waukesha might consider. Or perhaps you are saying: hey, no fair: New Berlin paid in advance,in full, and the money went into the City of Milwaukee budget. The 2008 City of Milwaukee budget was about $1.3 billion - - so the fee covered about one-tenth of 1% of one budget year out of 20. Back to Waukesha: Its water service territory has about twice New Berlin's population, give or take, so would Waukesha offer double the New Berlin fee, and should Milwaukee take it? 25 cents per year per Milwaukee resident? I know our socialist, foreign-born President says his measure allowing the Secretary of Health and Human Services Secretary to take emergency measures in the face of the swine flu pandemic is a public health precaution, but we know it's really to put people under the thumb of the Federal Guvimnt and inject them with Democratic Party stem cells. Here is how the National Wildlife Federation sees it. After a burst of activity in 2006 and 2007, when state legislatures considered whether to adopt the Great Lakes Compact, progress on implementation has been slow. While some big decisions have been made—for example, almost all states have chosen thresholds for regulation of water withdrawals—the details are lacking. Stakeholders must press for protective actions in the next few years, or the Compact will fail to fulfill its promise. · By December 8, 2009, a list of baseline volumes for withdrawals, consumptive uses and diversions must be submitted to the Compact Council. These volumes will be used to grandfather in existing users, and thus must be carefully scrutinized. · By December 8, 2010, water conservation and efficiency goals and objectives must be developed; a water conservation and efficiency program must be implemented; and water conservation measures must be promoted. Strong programs and measures are needed to ensure water will be used thoughtfully, and to ensure there will be enough for the future. · By December 8, 2013, withdrawals and diversions must be registered and a water management program to regulate new or increased withdrawals and consumptive uses must be developed. The registration program is necessary to know how water is being used in the region. A comprehensive water management program will protect ecosystems from the impact of new or increased withdrawals. Under the Compact, Illinois' water use is governed by the Supreme Court consent decree on the Chicago diversion. Thus, Illinois is only required to comply with the conservation and registration requirements. On conservation, conservation practices are required for each user of Lake Michigan water from the Chicago diversion; these practices include adoption of ordinances and development of public programs. Groundwater withdrawals are not required to adopt any practices, but there are only a few small withdrawals according to Illinois officials. On registration, Illinois already collects information on in-basin withdrawals through the Lake Michigan allocation program. In addition, the state recently passed a law requiring all persons who withdraw at least 100,000 gallons per day (gpd) of surface and groundwater in the state to report information to the Illinois Water Inventory. Bottom line: Illinois must develop conservation and efficiency goals and objectives. When Indiana approved the Compact, it passed legislation that provided a skeletal framework for implementation. On baselines, Indiana is in the process of developing a baseline list. As part of the legislation approving the Compact, the General Assembly declared that the baseline volume would be the total capability reported by facilities with the capability to withdraw more than 100,000 gpd of surface and groundwater. On conservation, the state is to create a voluntary conservation program, to be implemented by rule. The Indiana Department of Natural Resources has not issued any rules on a program, though it is possible that the DNR will use elements of a Water Shortage Plan finalized in July 2009. On water management, thresholds have been set for a regulatory program: in excess of 5 million gallons per day (mgd) from Lake Michigan surface water; 100,000 gpd from specified salmonid streams and other watercourses determined by rule; and 1 mgd from any other source. The DNR has not issued any rules to flesh out the regulatory requirements. Bottom line: Indiana must finalize its baseline list; develop conservation and efficiency goals and objectives; issue rules to create a conservation program; and issue rules to clarify the requirements for permits under the water management program. When Michigan approved the Compact, it passed comprehensive implementing legislation. On baselines, Michigan is in the process of developing a baseline list using reported capacity or highest annual amount withdrawn. On conservation, an advisory council is tasked with developing recommendations on a program. The report was due last month and is expected to be out soon. In addition, beginning in 2010, registrants and permit holders must acknowledge in an annual report that they have reviewed conservation measures for their sector. On water management, a permit is required for development of new or increased cumulative withdrawal capacity of more than 2 mgd from all waters of the state. Persons who develop capacity to withdraw in excess of 100,000 gpd from streams, rivers, or groundwater are required to use an internet-based assessment tool to determine if there is an adverse resource impact. Bottom line: Michigan must finalize its baseline list; develop conservation and efficiency goals and objectives; create a conservation program once it receives the advisory council's recommendations; put into place an assessment process for lake withdrawals; and review its permitting program to ensure that it is applying the standard required by the Compact. Minnesota did not pass legislation to implement the Compact and is instead relying on existing programs. On baselines, the state is using information gathered through its appropriation permits, which are required for water withdrawals that exceed 10,000 gallons per day on one million gallons per year. The state will report the baseline capacity or the approval amount, whichever is higher. On conservation, the Commissioner of the Department of Natural Resources is charged with creating a conservation program for the state. The DNR requires conservation for all water users subject to the permitting program. Water conservation measures for public water suppliers serving more than 1,000 people include a requirement for a water emergency and conservation plan, adoption of a conservation rate structure, annual reporting of water use by customer categories, and the implementation of demand reduction measures. On water management, the DNR has discretion to consider a broad range of factors in determining whether to grant an appropriation permit, including the information in the Compact standard. Bottom line: Minnesota must finalize its baseline list; develop conservation and efficiency goals and objectives; and ensure that it uses its discretion so that the appropriation permits in the basin meet all of the criteria in the Compact. 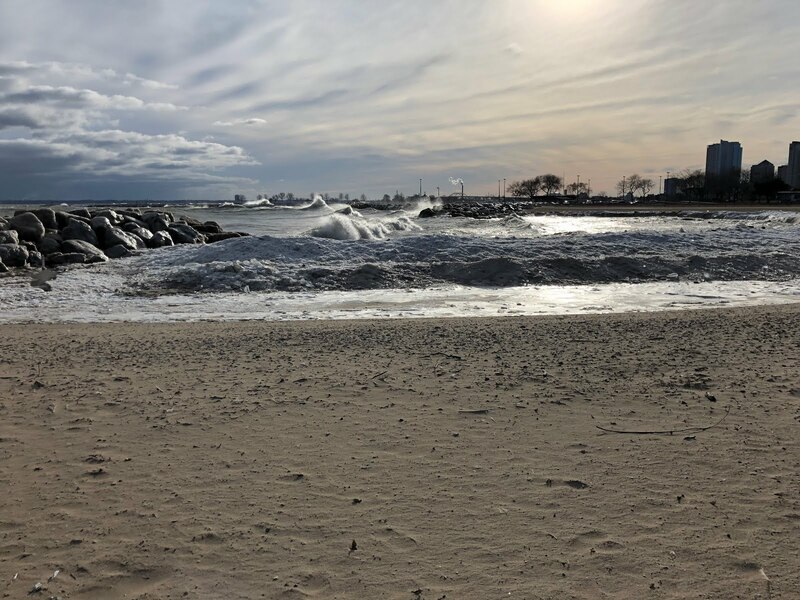 When New York approved the Compact, the Legislature directed an advisory council to make recommendations on implementation, including a method for establishing baseline volumes, a conservation program, and a water management program. The council released a draft report in July and comments were accepted through mid-August. The draft report lacked detail on critical elements of each requirement. The council is currently considering comments; the final report was due in early September but is now expected in the next few months. On baselines, the Department of Environmental Conservation is preparing a list of facilities using information from its registration program for withdrawals in excess of 100,000 gpd. Bottom line: New York must establish baseline volumes for its list; develop conservation and efficiency goals and objectives; create a conservation program; and create a water management program. When Ohio approved the Compact, the General Assembly made some decisions but left most of the details to an advisory board. On baselines, the Ohio Department of Natural Resources has developed a list using reported capacity information and plans to finalize it after advisory board review but before the deadline of December 2008. On conservation, the advisory board is developing goals and objectives and will likely provide recommendations on a conservation program. The General Assembly gave the DNR the authority to create a voluntary conservation program through rules, but a mandatory program requires legislative approval. On water management, the advisory board is considering the type of program and the threshold for regulation. The board must issue a report by June 2010, which will include an after-the-fact discussion of the DNR's work on baselines. Bottom line: Ohio must finalize its baseline list; finalize its conservation and efficiency goals and objectives; create a conservation program; and create a water management program. When Pennsylvania approved the Compact, it passed legislation that provided a skeletal framework for implementation. On baselines, the General Assembly directed that baseline volumes be based on either permit limitations or the physical capacity of existing systems. Pennsylvania is currently accepting comments on its proposed baseline list. On conservation, the Department of Environmental Protection is authorized to administer a voluntary water conservation program utilizing a water resources technical assistance center that has not been established. On water management, the General Assembly set the thresholds for the regulatory program at 100,000 gpd for withdrawals and 5 mgd for consumptive uses. The criteria and procedures for review and approval of proposals are to be adopted through rule. Bottom line: Pennsylvania must finalize its baseline list; develop conservation and efficiency goals and objectives; develop a conservation program; and issue rules to flesh out the requirements for the permitting process. When Wisconsin approved the Compact, it passed comprehensive implementing legislation. On baselines, the Legislature directed that the amount be the maximum hydraulic capacity of the most restrictive component of the water supply system, or the approval limit under other statutes governing water withdrawals. On conservation, Wisconsin has developed conservation and efficiency goals and objectives. The Department of Natural Resources must develop a voluntary statewide water conservation and efficiency program as well as a voluntary and mandatory basin program, to be implemented by rule. On water management, a general permit is required for withdrawals that average 100,000 gpd or more in any 30-day period and an individual permit is required for withdrawals that equal 1 mgd or greater for any 30 consecutive days. Withdrawals equaling at least 10 mgd for any 30 consecutive days must meet the Compact decision-making standard, unless the applicant demonstrates that the withdrawal will have an average water loss of less than 5 mgd in every 90-day period, in which case the withdrawal must meet a state decision-making standard. The remaining withdrawals exceeding 1 mgd for any 30 consecutive days must meet the state standard. Rules must be issued to flesh out the requirements. Bottom line: Wisconsin must finalize its baseline list; issue rules to create a conservation program and specify measures; and issue rules related to registration, reporting, permitting, water loss, and the public participation process. I pass along some nice writing by Michael Doerr, a former Milwaukee-area woodworker who moved his shop to Sturgeon Bay. You'd do well to have a real conversation with the guy and take a look at the beautiful things he makes. Let's see...When Waukesha wants something, it's called regional cooperation. When Milwaukee wants something, it's called extortion. Regional Cooperation, Waukesha Style: "No!" In case you missed it, note the negative, no-way headline in this Waukesha Freeman column about buying water and meeting Milwaukee's regional, cost-sharing interests, too. That echoes an earlier Freeman editorial - - I will dig it out - - urging Waukesha to stay out of a regional transit agreement because it might help Milwaukee. Regional leaders, including some from Waukesha County, were involved in several discussions this week to discuss regional transportation issues. The Waukesha County Action Network held talks about funding transportation and regional leaders attended a summit in Milwaukee to discuss transportation and mass transit. First of all, while we are fine with regional partnerships and cooperation, we remain firmly against Waukesha County being part of a regional transit authority. It doesn’t make sense and is not in the interest of Waukesha County residents is to establish a regional transit authority that has the power to raise your taxes and will have aims that mostly benefit Milwaukee. In regard to mass transit, all efforts that affect Waukesha County should be based on automobiles and buses. The idea of light rail should be derailed for good. It just isn’t practical. The expense and inflexibility of such a system are deal breakers. Instead the focus should be on buses. We could potentially see a future where someone opts to go downtown Milwaukee via a hybrid doubledecker bus instead of a car. But if that doesn’t happen and no one uses the buses, at least there won’t be all kinds of expensive light rail tracks going unused. “Maybe we have to just leave Waukesha County out of the RTA now and once they see how well it works, hope they’ll be clamoring to get in.” – state Rep. Jeff Stone, R-Greendale. Don’t count on too much clamoring from out west, Jeff. But, yes, leave Waukesha County out of it. Transportation experts said Wisconsin needs to implement toll roads because the state doesn’t have enough money for road repair and construction in the region. Just think, all those taxes you pay and there still isn’t enough to fix our roads. By the way, is there really anything about Illinois that we want to emulate? There’s a buzzword that was floating around the discussions this week: NEGATIVITY. Leaders repeatedly referenced Mark Belling’s recent Freeman column critical of mass transit. 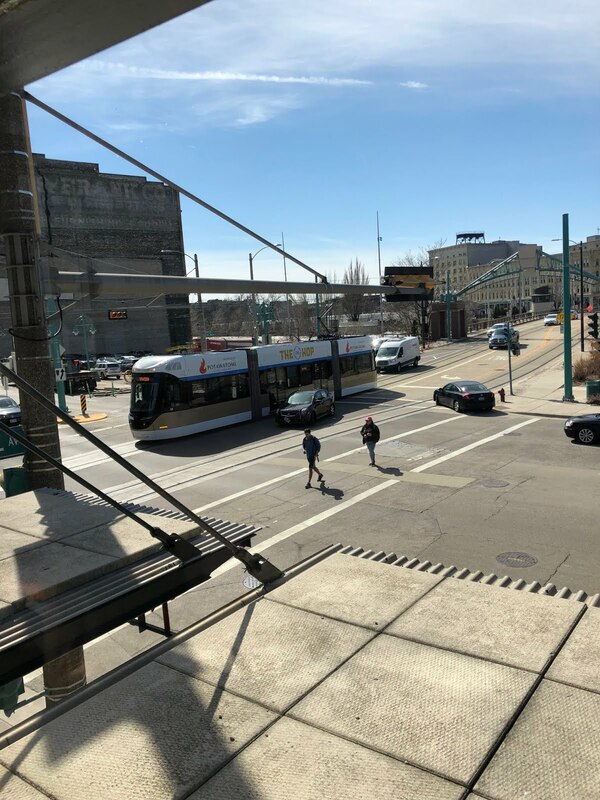 But instead of taking his opinion into consideration, many of the leaders chalked it up to the NEGATIVE climate surrounding the regional transit issue. This dismissive attitude from some of these leaders toward those who oppose a regional transit authority is arrogant and condescending. The reason there is negativity toward a regional transit authority is because it is a bad idea that would cost taxpayers a lot of money. Of course, we realize we will now be labeled as part of the NEGATIVE alliance against light rail and high taxes. We can live with that. There certainly can be some good that comes from all of these leaders getting together. We call on Waukesha Mayor Larry Nelson and Waukesha County Executive Dan Vrakas to continue the discussion but to stand up for Waukesha County’s best interests. Those interests do not include getting roped into a regional transit authority. Instead, let’s try a different approach. Let’s find a way to get the most out of the connections being made with other regional leaders through these discussions. There is a need to think regionally. There’s no doubt about that. But the best way to go is for the communities to find common ground as neighbors, not join together to create a new transit system. DNR To Waukesha: "You're Pre-Approved!" Like the mortgage brokers who handed out approvals to anyone who could make an X on a form, the Wisconsin Department of Natural Resources is sending a strong signal to the City of Waukesha that its application for water under the Great Lakes Compact of 2008 is going to get the Matador's pass when its environmental 'review' takes place. The DNR has done this by waiting until after Waukesha kicked off the application process with requests from potential Lake Michigan water sellers to answer a written request from the City of Milwaukee - - the lead potential seller - - that applications be held in abeyance until the DNR wrote administrative rules to guide the process. Waited four-to- five months to answer the Milwaukee letter. Waited a year-and-a-half after the Compact and Wisconsin's so-called implementing bill were signed into law. There are huge environmental questions associated with the application - - notably Waukesha's intent to flush its wastewater down Underwood Creek in Wauwatosa. That's to save money: a pipeline back to the Milwaukee Metropolitan Sewerage District would cost more money. The Southeastern Wisconsin Regional Planning Commission, which has recommended that Waukesha get its diversion even though the SEWRPC water supply study is not yet finished, has said it is not going to conduct those environmental studies. Waukesha hired a consultant this summer who said the wastewater plan would not negatively effect the Creek, so I guess that settles that. Waukesha's eventual diversion approval by the DNR was signalled several years ago when its negotiators inserted into Compact discussions the draft exception now in the agreement: that a community in a county that touches the Great Lakes basin is eligible to apply for a diversion. Once that twisted geo-political concept made it into the agreement, the die was cast, but to make sure it happens on Waukesha's terms and timetables, the DNR then took a pass on writing rules that would establish uniformity and process in an application's compilation and review. This is one of the darkest days in the history of the DNR, and proof positive that the agency needs an independently selected Secretary, as was the case before Governors Thompson, McCallum and Doyle took turns politicizing it, to refocus the agency on a policy and science mission, not a political one. The Journal Sentinel says Waukesha's precedent-setting Great Lakes diversion application needs to be a standard-setting model. And Waukesha says it will do just that. But the in-state arbiter, the Wisconsin's Department of Natural Resources, deliberately dropped the ball by failing to write administrative rules to guide the application's construction, and public review procedures, to make sure a model application was created. This is akin to having creating the Super Bowl, and approaching the the first game - - but making sure no rules were in place before kickoff. Given the years that went into writing the eight-state, two-nation Compact, why wasn't rule-making on behalf of the public interest a DNR priority? I saw the writer and blogger James Wigderson at last week's Waukesha public meeting on water diversion planning and wondered when we would read his take on the issue. Unlike some conservative opinion-makers out Waukesha way, James is not an uncompromising ideologue. The wait is over: in a Waukesha Freeman column, Wigderson is stunned at the estimated expense, and even unhappier that the price tag could grow because of the socio-economic/regional cost-sharing conditions that the Milwaukee City government has said unequivocally by resolution would apply should Waukesha strike its water acquisition deal with Milwaukee. As I had noted on my blog, and to which Wigderson links, Waukesha's water policy public relations contractor, Martin Schreiber & Associates, has hired former Milwaukee Ald. Michael D'Amato to help communicate with the Milwaukee Common Council. I've been hearing in the last few days that there is a division at Milwaukee City Hall over D'Amato's new Waukesha gig. For every person who thinks it was a smart, inside move by Waukesha, there's another person who thinks it was too-clever-by-half, and will blow back onto Waukesha, not to mention on Mike, too. From his Waukesha perspective, Wigderson worries that D'Amato will be too effective in communicating those Milwaukee's conditions to Waukesha leaders. So there are contradictions, political fault lines and risks everywhere, it seems - - especially since buying water from Racine or Oak Creek as an alternative to Milwaukee and its conditions would mean buying lesser quality water and paying to pipe ir farther - - which is not what cost-conscious Waukesha really wants to do. Like Wigderson said, the numbers are big for a community Waukesha's size without adding more money to contribute to housing, transit or related regional needs. The big issues are a) whether the two cities can work together on a deal (and this presumes that all eight Great Lakes states will OK the Waukesha application, a prospect that is not a slam-dunk), b) whether the Wisconsin DNR will ever come off the sideline (it took a pass on writing diversion implementation rules) and exert some public-minded influence over Waukesha's diversion and wastewater return plan, and c) whether Oak Creek or Racine would be allowed by the DNR to expand their water treatment facilities to compete with Milwaukee's Water Works if Waukesha wants to make its deal there. Put another way, would the DNR permit redundant, competing supply systems that tax and ratepayers would have to support? Bottom line: Long way to go, folks. I put my theory at OnMilwaukee.com about why the feds can't release their quadrennial review of the performance by the Southeast Wisconsin Regional Planning Commission. Multiple emails from the PR firm Cramer-Krasselt are floating around on behalf of the M7 Water Council that advise potential member sources on how to handle interviews with a Wall Street reporter whom the firm says is preparing stories about the Great Lakes Compact, and other regional water issues, with the firm's assistance. Cramer-Krasselt is urging people who might be interviewed to be positive, showcase local expertise and opportunities, and let the firm know if they were contacted so it can help subsequent interviewees avoid "land-mines" in questions posed. It is not unusual for an out-of-town reporter to work with a local point of contact, so much of this is PR 101. But there is disappointing language in the emails urging potential interviewees against airing "dirty laundry" or certain "ugliness" associated with water policy debates, but emphasizing to the reporter, Joe Barrett, that cooler heads are prevailing - - whatever that means. Is that how the M7 Water Council sees some environmental, or social justice issues raised about water planning or opinion-making in the region by various mainstream environmental and civic organizations in Madison, Milwaukee and Waukesha? Or SEWRPC's Environmental Justice Task Force, or the American Civil Liberties Union of Wisconsin - - both of which have expressed concerns about water plans and how they effect regional growth, or minority and low-income communities and taxpayers? The emails say that the Water Council takes no position on Waukesha's diversion plans, but the Council's PR firm is urging that possible interviewees spin their responses and decline to volunteer some information about the most basic shared resource: water. Is this the right way to advise M7 Water Council mmbers, especially those who are public officials, or who receive public funding? Those members represent everyone, including people - - taxpayers - - who might feel that "hearing all sides" also makes for truth-telling - - hence good PR - - and should be treated as a synonym for what others mistakenly call "dirty laundry." I am hearing from UWM faculty who are unhappy with discovering that their opposition to Chancellor Carlos Santiago's planned expansion on the County Grounds in Wauwatosa is falling on deaf ears. Because the planning process is essentially closed - - even though there are signs that the plan to build an engineering graduate school and innovation center on the County Grounds does not have vital once-promised, or expected private sector support. Combined with environmental objections to County Grounds construction, and looming transit and traffic problems, it appears as if Santiago is forging ahead single-mindedly with a plan that lacks campus support as well as financial stability. It is ironic that Marquette is planning its engineering expansion in the heart of the city, where there is already the Milwaukee School of Engineering and a substantial related private sector presence - - but UWM management still wants to go far to the west. Also ironic: UWM has the state's premier School of Architecture and Urban Planning, where there are faculty and staff experts who know it is a planning mistake to separate the engineering program from the basic campus and much of the Milwaukee-area transit, business and cultural infrastructure. Maybe there is time for alternatives to get serious review. And for faculty to enjoy genuine campus planning input. That long-delayed federal report on SEWRPC's performance - - first promised by the feds in March following a public airing of grievances in October, 2008 - - has an end-of-year release date, according to information received and passed along by the office of US Rep. Gwen Moore, (D-Milwaukee). Federal officials review SEWRPC every four years as part of a certification process that enables the agency to move certain federal highway and transit projects along, thus is critical to the agency's operations as well as regional development patterns. I'm completely in favor of the Legislature's rush to ban Driving While Texting. Texting while operating a vehicle is a dangerous practice: some studies show it to be as, or more distracting, than Driving While Intoxicated. Yet the Legislature still cannot agree on which set of mild reforms it will add to the state's weak drunk driving statutes. That's because drinking and driving is still widely tolerated in the state, but texting drivers don't have the same broad level of historical practice, or lobbies to help convince legislators that some texting while driving is OK.
Federal highway officials trekked to Milwaukee a year ago tomorrow to listen to the public comment about how the Southeastern Wisconsin Regional Planning Commission had been doing its job the previous four years, and then to recommend - - on some presumably reasonable timetable - - changes based on the public's feedback so the agency could improve its community relations and overall performance. The review happens every four years, and SEWRPC needs a thumbs-up from the feds to continue the agency's powerful, regional planning and development role: moving big-ticket federal highway and transit projects forward. The feds had promised the release of their reviewers' report months ago, but never did, and this spring stopped taking questions about it. The ironic thing about this new level of dismissal of public sentiment about SEWRPC is that it is being dished out by so-called objective federal analysts who at both the 2004 and 2008 public input sessions about SEWRPC heard a stream of complaints from people and organizations who thought the Pewaukee-based agency was ignoring significant portions of the community-at-large. Now the feds have adopted the SEWRPC attitude towards the public. The message: your voice is insignificant, and this input process is a farce. This ridiculous delay is another reason why Milwaukee needs to free itself from SEWRPC and its federal enablers who together are running roughshod over urban priorities and the region's low-income and minority residents. It is time for US Rep. Gwen Moore (D-Milwaukee) to join the effort to disassociate Milwaukee from SEWRPC, or to remove funding from the agency because its mission, payroll and advisory committees too often excludes minorities, low-income citizens and Milwaukee residents. I'd start with "Putting Dr. Kevorkian in charge of wellness planning." An ambitious plan to raze some South side properties in the KK River floodplain to preserve and enhance the value of a greater number of properties - - and to spur development attracted to the area as the threat of flooding is mitigated - - won preliminary approval at the committee level Monday at the lead agency, the Milwaukee Metropolitan Sewerage Commission. The Milwaukee Redevelopment Authority had also signaled support for the plan, and with support from neighborhoods, combined with probable funding the State of Wisconsin, this unusual and forward-looking plan should keep moving forward through a number of pending approvals. There's good data nationally to show the economic benefits from what might at first be seen as purely negative - - the razing of some properties - - but flood-prone South side neighborhoods should instead be stabilized, then enhanced, by this creative, inter-agency approach that should attract city development where it is needed. State Sen. Jim Sullivan, (D-Wauwatosa) is right: too many state legislators are "weak-kneed" when it comes to serious reforms for Wisconsin's slap-on-the-wrist drunken driving laws. I used the same phrase on this blog more than a year ago. Which means that spinlessness in the face of the liquor lobby has been the order of the day in the Capitol for too long. Almost a year to the day when the McCain-Palin ticket went down to defeat at the hands of a biracial, foreign-born socialist, Sarah Palin herself will rally the faithful at our own Wisconsin State Fair Park. The cost is $30, and if Palin isn't enough of a draw, Charlie Sykes is the MC. No word yet if free tea will be provided, if Joe the Plumber will show up or if Balloon Family will handle the flyover. Waukesha Mayor Larry Nelson on Monday sent Milwaukee officials - - and presumably the same "Dear official" email went to counterparts in Racine and Oak Creek, too - - a heads-up that Waukesha's request for Lake Michigan water will soon come their way. The City of Waukesha's population is about 12% the size of Milwaukee's. I find it ironic and sad that Nelson says in his email to the officials that Waukesha already leads Waukesha in affordable housing. As it should: it is Waukesha's largest community and only real city - - with some low-income residents - - but it isn't saying much that you beat out the Pewaukee's of Waukesha County for the title of Number One Provider of Affordable Housing. And that Nelson is echoing earlier statements from officials in both Milwaukee and Waukesha over this year's elimination of a 25-cent bus transfer fee between Milwaukee and Waukesha County bus stops - - but you still can't ride a Milwaukee County Transit System bus directly from downtown Milwaukee to downtown Waukesha, and vice-versa. So perhaps a real bus or rail deal will be among the urban service sharing that Waukesha will negotiate and provide with Milwaukee as part of a water deal proposal. Milwaukee's water sales policies mandate cooperation and performance on transit, housing, and development to begin to address the region's ranking at the top of segregated inter-county population groupings in the country. The elimination of a quarter-per-ride transfer as riders schlep their way on cold winter mornings from one bus to another on their way to the New Berlin Industrial Park really does not a regional water or transportation plan make. Former Milwaukee Ald. Michael D'Amato has his work cut out as Waukesha's newest water lobbyist. Mike has to sell Waukesha on true, and, yes, costly regional partnerships, lest his old colleagues on the Milwaukee Common Council believe that he will help Waukesha walk away the winner in a a one-sided water sales negotiation that leaves Milwaukee high and dry politically, and probably disinclined to sell itself and the area into more regional sprawl. I am writing to ensure that you are aware of a resolution that the Waukesha Common Council will be taking up on Tuesday, October 20, 2009. The resolution requests that letters from municipalities that are willing to negotiate on potential sales of Great Lakes water be submitted to Waukesha by January 31, 2010. Such letters from a potential supplier are required by Wisconsin ’s Great Lakes Compact implementation law to be submitted as part of any Waukesha application for Lake Michigan water in early 2010. I hope your city will agree to provide us with such a letter, agreeing to discuss and negotiate the benefits of a water sale to a community in need. I also hope to meet with you in the near future to discuss this issue personally. As you know, the City of Waukesha is investigating its options for a new water supply. Despite Waukesha ’s leadership in water conservation, continued use of its current water supply is unsustainable, due in part to a confining shale layer that prevents recharge of the deep aquifer. Continued use will lead to increasing problems with contaminants and water quantities and will continue to worsen negative impacts on surface waters. In addition, Waukesha has signed a stipulated order with the Wisconsin Department of Justice to comply with federal radium standards by June 30, 2018. Given the time needed for approval of a potential application for Great Lakes water supply by the Department of Natural Resources and the Great Lakes Governors, the potential for legal appeals, the five years needed for design and construction, and the possibility of a denial that could require pursuit of an alternative supply, Waukesha cannot afford to delay its decision on its water supply. I anticipate a decision on making an application for Great Lakes water to be made by the Waukesha Common Council early next year, hopefully in February. Waukesha has been studying its water supply options since 2001 and the regional planning authority has also recently issued draft recommendations. Both extensive studies reached the conclusion that the use of Great Lakes water is the most economical and best environmental option. A switch to Great Lakes water allows recycling of the water back to Lake Michigan after use and begins the process of allowing the deep aquifer to recover. Use of groundwater, on the other hand, would continue to cause permanent loss of groundwater to the Mississippi River and the Gulf of Mexico and reduce the resources needed by area surface waters. For those reasons, I believe the use and recycling of Lake Michigan water is the best option for Waukesha . I also strongly believe that it is far better for Waukesha to invest water revenues in payments that will benefit a fellow Wisconsin city rather than in construction and maintenance of additional wells that will draw down the vital groundwater resources of the region. However, an application for Great Lakes water must, under s. 281.346(4)(b)4m, Wis. Stats., include letters or resolutions from potential water suppliers indicating they are willing to negotiate to meet our water supply needs. Because that application may occur within a few short months and because of the time it may take for official actions by potential suppliers, we believe that it is imperative for us to notify potential suppliers now. I hope to meet with you in person soon to discuss these issues. In addition, I invite you to visit the City of Waukesha, Wisconsin’s 7th largest city. I have found that many people in the region have not had the opportunity to visit our historic downtown and often have mistaken impressions about our city, its people, its infrastructure and its services. We lead our county in affordable housing. We have our own successful transit system and I am proud to have recently negotiated the elimination of bus transfer fees between Waukesha and Milwaukee. Our development, such as 24 new businesses in our historic downtown and a new shopping center, is primarily in-fill development. As a member of M7, I strongly believe in the need for regional cooperation on the challenges facing our region, and especially those involving water and transportation. As Mayor of Waukesha, and as the new President of the Wisconsin Alliance of Cities, I will continue to be an advocate on behalf of southeastern Wisconsin’s cities and their residents. For instance, I have been working with our Congressional delegation to create an Army Corps of Engineers (USACE) authorization for Southeast Wisconsin Safe Drinking Water (SDW) needs. I am looking forward to the opportunity to discuss Waukesha ’s request for letters or resolutions in support of water sale negotiations, as well as other issues of mutual interest. For more information on the water issues, including 50 pages of responses to questions from a consortium of environmental groups, a map of our water service area and an October 12 presentation on our water supply needs, please see http://www.ci.waukesha.wi.us/web/guest/futurewatersupplyinfo. Let's talk a little here about businesses big and small, and who's doing what to create jobs in Milwaukee. The Journal Sentinel notes today that Growing Power - - the Milwaukee-based leader in urban agriculture, and a real job-and-image-creator for the entire State of Wisconsin - - has again won a national honor: this time for a precedent-setting partnership to expand and implement green technologies. It's amazing how often Growing Power and founder Will Allen - - the group's website is here - - get great press for actually doing something in the world of resource management and employment. And wouldn't it be nice if all the corporate honchos in the region - - the folks who have established top-down institutions like the M7, and the Water Council, and who are pushing for all sorts of fancy new headquarter facilities and business parks - - acknowledged that Growing Power is a real deal. And could and should be one of their real partners, perhaps - - dare I say it - - a leader and mentor for business leaders? Somewhere along the line I may have missed Growing Power's inclusion into all the water-and-resource-based plans and planning, and if so, shame on me. If not, why isn't Growing Power always at the table, in a real capacity, offering a new perspective, along with a lot of success to back it up? Asked another way: Is the M7 a true regional collaborative, or more of a private club? One more thing about the M7, its priorities, and its relative value. The co-chair of the M7 Water Council is Badger Meter CEO and President Richard Meeusen. Badger Meter is simultaneously pushing for office space with the UWM School of Freshwater Science because we are are said to have a water-industry hub in the Milwaukee region that needs nurturing, while the company is also moving water-based jobs to Mexico. I'd argue that's a heck of a contradiction, especially as the M7 is pressing for public aid to build itself a headquarters operation - - while community development organizations like Growing Power or the other grassroots efforts in town, with far fewer resources, are helping small businesses and creating jobs, day in and day out. 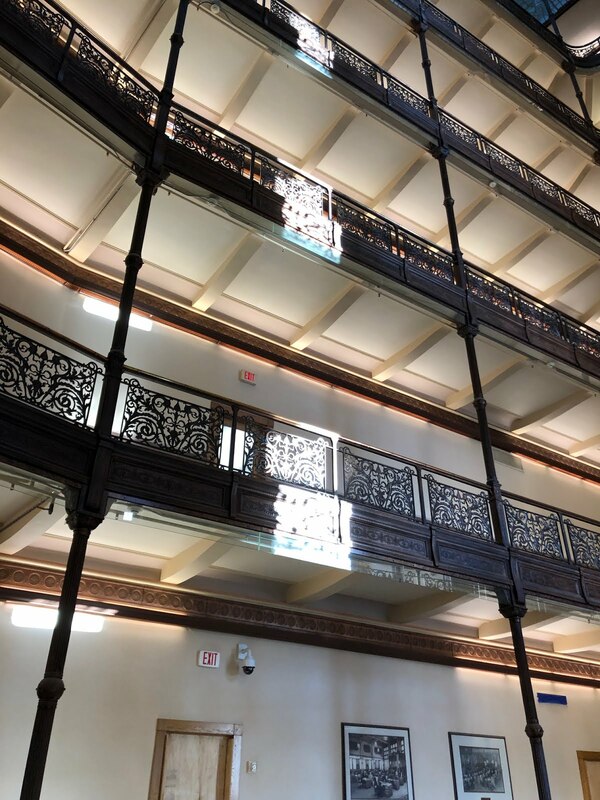 Examples abound - - whether in the Menomonee Valley led by the Sixteenth Street Community Health Clinic, or on the north side, where the Northwest Side Community Development Corporation incubates everything from small businesses to senior housing in a new city library. The point is that some people are working from the bottom up, others from the top down, but I see little inclination from the folks at the top to share power and resources with people slogging it out in the trenches. Hoaxers who claimed to be officials of the US Chamber of Commerce had a few minutes of fun and fame when they called a fake news conference to announce that the Chamber had abandoned its opposition to the Climate Change bill. Once you get to about 15 years old, pranking is best set aside. No one else is interested in your flaming bags of dog poop and Bart Simpson-inspired phone calls. As with the Colorado balloon hoaxer, this childishness usually backfires and muddies up an already complicated world. The climate buffoons had their laughs, but their idiocy isn't appreciated beyond their little insiders group. 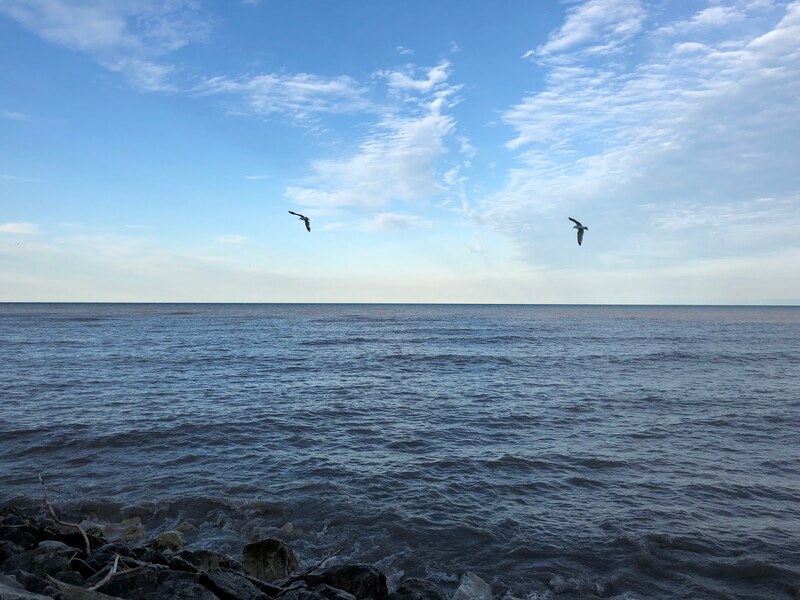 The Waukesha Common Council on Tuesday will authorize the city to contact three potential water suppliers - - the cities of Milwaukee, Racine and Oak Creek - - and ask for letters expressing a willingness to sell Lake Michigan water to Waukesha. We will hear a lot in the next days, weeks, months and maybe even years that Waukesha needs to make a deal with one of these cities right now so that if all eight Great Lakes states eventually say "OK," Lake Michigan water can flow to Waukesha. In between the request for letters of intent and the opening of a big spigot (and let's not forget, a wastewater dumping pipe in Wauwatosa's Underwood Creek), there are and will be thousands of unanswered questions. Waukesha's goal is get the deal done quickly and cheaply, and also to put off as many answers as possible. Answers to questions that are environmental, legal, financial, and political. What Milwaukee must do, as Waukesha's preferred seller, is remember that Milwaukee also has its own timetables, needs, and questions, and the worst thing imaginable would be to rush forward on Waukesha's terms. Don't let Waukesha make its problem Milwaukee problem's, and shift the responsibility for finding water supply solutions from Waukesha to Milwaukee, and from the Mississippi River Basin, where Waukesha sits, to the Great Lakes basin. Just as Waukesha is doing what it deems most in its self-interest, so should Milwaukee. Plenty of opinion, but little doubt. No one fought harder for public access to the Lakefront. Now I admit to being a big fan of Leon's Custard - - Milwaukee's finest - - on S. 27th Street, and always found it wonderfully ironic that the venerable cholesterol outlet virtually shares the intersection at W. Oklahoma Ave. with St. Luke's Hospital, where heart procedures are the house special, but nothing tops this mailer I got from another buainess on S. 27th Street - - the historic Forest Home Cemetery. When the City of Waukesha began floating the Root River as a possible natural pipeline back to Lake Michigan for wastewater from its sewage treatment plant should Waukesha win a Lake Michigan diversion, State Rep. Cory Mason, (D-Racine), quickly objected. He said he didn't want Racine to become Waukesha's toilet. At this week's special Common Council meeting in Waukesha where officials rolled out some details of its probable Lake Michigan diversion and wastewater application and plans, Underwood Creek in Wauwatosa, cheaper than the Root River wastewater dumping scheme due to proximity, was the preferred probable alternatives. And the effluent that would flow into Underwood Creek from a pipeline from Waukesha's treatment plant is being defined by Waukesha officials and consultants as a resource that won't harm the Creek, will help the fish, and won't add volume that could worry nearby homeowners. And if it rains heavily, Waukesha will simply direct the return flow back to the Fox River where the treated wastewater now flows away from Lake Michigan - - a plan that other Great Lakes states may find unacceptable. I find it interesting that Wauwatosa officials have been silent on the issue, with no one stepping forward, as Racine's Rep Mason has done, to object or even question Waukesha's intercity plumbing plans. Will serving as Waukesha's toilet be Wauwatosa's contribution to regional cooperation - - and, for that matter, Milwaukee and the Menonomee Valley downstream approaching Lake Michigan, too? Former Milwaukee Alderman Michael D'Amato has been retained by a lobbying firm - - Martin Schreiber & Associates - - to help the City of Waukesha in its quest to obtain a diversion of Lake Michigan water through the City of Milwaukee. D'Amato told me this week that his work will focus on the Milwaukee Common Council. Schreiber & Associates, Waukesha's long-standing public relations and lobbying firm on Great Lakes water issues, confirmed for me today that it has a contract with D'Amato: I have no additional details. The Common Council will play a role in the diversion process as early as later this month, when a request from the City of Waukesha will ask Milwaukee to supply a letter of intent to sell water: the letter, and similar letters that will be requested from Racine and Oak Creek, will be come part of Waukesha's diversion application. Waukesha is putting its application on a fast-track, though Milwaukee does not need to jump through the hoops as Waukesha lays them out. 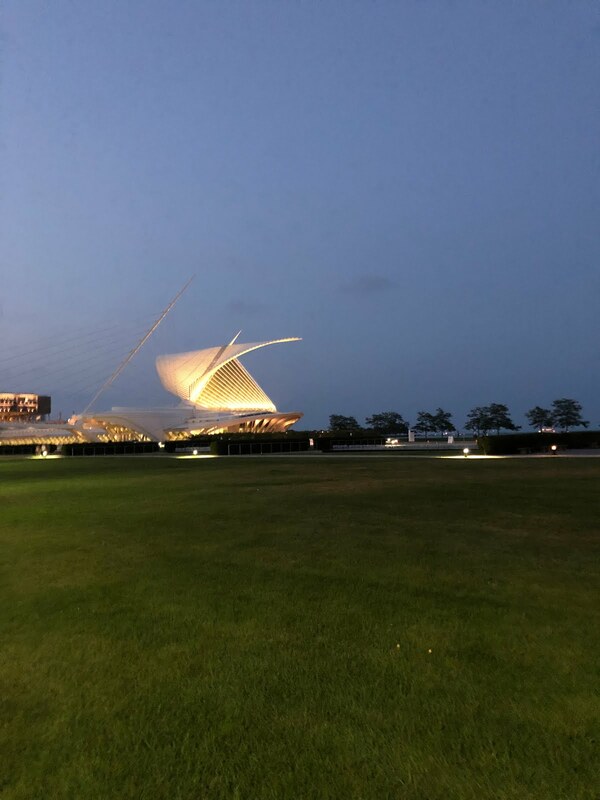 If Milwaukee were to be the eventual seller - - a decision down the road most likely measured in years - - the Common Council would become involved in water sales negotiations, and that is where D'Amato's work for Waukesha could be the most significant for Milwaukee interests. That is because Milwaukee, by standing Council resolution, has said a water deal must include the seller's participation in a host of regional, socio-economic issues - - transit, housing, development and more. At an informational meeting at Waukesha City Hall Monday, two Waukesha aldermen expressed concerns about these Milwaukee water sales conditions; D'Amato is in a good position to explain them to the Waukesha officials and residents. D'Amato was viewed by many when he was 3rd District Alderman - - he left in 2008, and in the interest of full disclosure, my son Sam, D'Amato's staff aide at the time ran unsuccessfully for the seat - - as the Council's most powerful alderman, most skilled negotiator, and most versed in urban development because he had chaired the powerful Zoning and Development Committee - - ZND. D'Amato will know the development and jobs value that could be added by sending Lake Michigan water to Waukesha, including to many square miles of open space and sparsely developed land available for annexation to Waukesha's west and south where thousands of new residents and jobs will be located. Long committed to New Urbanism in Milwaukee, D'Amato can easily communicate to Waukesha the logic and merit in the Milwaukee diversion conditions, and help make sure also - - a) if Waukesha's application wins the approval of all eight Great Lakes states, and b) if Waukesha selects Milwaukee as the water seller, which is likely because Racine and Oak Creek's water is of lower quality, and is farther away - - that financial payments to Milwaukee for the water are comprehensive and in no way resemble the insufficient $75,000 annual water payment the Milwaukee alderman agreed to take from much-smaller New Berlin. Since Milwaukee does not need to adhere to Waukesha's artificially-rushed timetable, D'Amato can help move positive discussions along - - and that would include urging the DNR to begin its crucial rule-making for diversion applications and...and this is really important...getting the concept of Tax-Based Sharing on the table. Tax Base Sharing is an accounting method and regional revenue tool that can be used to compute the amount of property taxes that should be transferred between and among municipalities if an asset like water that adds value to property is also transferred between or among those municipalities. Once Milwaukee's study on the true value of water is completed, then Tax Base Sharing experts can calculate the probable contribution of Lake Michigan water if it were moved to Waukesha and into new areas of development. And then an agreement can be negotiated that establishes what fair percentage of that water-fueled increment could be shifted annually from Waukesha, the water buyer - - where the water boosts the property tax base - - to Milwaukee, the water seller. Without Tax Base Sharing, Milwaukee could be cutting its own economic throat. D'Amato is the perfect person to make sure these ideas are an integral part of the discussion so that if it is decided by local, Wisconsin, and other states' governments that Waukesha is to get Milwaukee water, there are guarantees that the water is not just a development subsidy that enables sprawl and helps move jobs and capital faster away from an already land-locked (by state law) City of Milwaukee already hammered by high unemployment and the steady flight of wealth to the suburbs. As the Council's long-time urban development specialist, D'Amato's role could be pivotal, even historic, if the water negotiations with Waukesha proceed openly, broadly and comprehensively. It's Management 101: "Don't let someone make their problem your problem." Milwaukee as a potential Lake Michigan water seller to Waukesha, and Wauwatosa as the wastewater dumping site in its Underwood Creek for Waukesha's return flow should both keep that rule in mind. Especially since the state has allowed the better part of two years to lapse without writing administrative rules to guide the diversion application process. Rules first, then the process - - as defined by the rules. Especially since we're talking about an historic two-nation, eight state Compact, with Waukesha's application being its first - - the one that will set the precedents for everything from application content to legal scholarship to scientific underpinning to environmental protections to public participation - - from a community outside the Great Lakes basin. More along these lines at OnMilwaukee.com, here. I had to fly a couple of weeks ago, and because I knew I was going to return with more stuff than what I was leaving with, I flew Southwest because you can check two bags for free. Compared to what other airlines were charging, I figure that saved $200, and the ticket was pretty cheap, too. Now comes word that airlines are tacking on more fees. I was going to crack wise and say that soon there will be fees to pay fees, but airlines are beginning to charge $5 per checked bag on top of the checked bag fee if you don't pay the fee in advance on line. Southwest doesn't fly everywhere I need to go, but when it does, the baggage-fee-free airline is looking pretty good these days. Too much soot in the air. And it's really bad for you. Back in 2003, El Rushbo shot off his mouth and suggested that the celebrity of Philadelphia Eagles' Donovan McNabb was due to the National Football League's interest in having a star black quarterback. The implication being that McNabb hadn't earned his rep on the field, a blob of race-baiting spew coughed up into the sports world by talk radio's Number One Blowhard. Well, here we are six years later, and people with long memories were pecking away at an investors' group interested in buying the St. Louis Rams because the same, self-proclaimed Mr. Excellence in Broadcasting was part of the group. The operant word there is "was." Limbaugh is out of the group, keeping the investors' possible bid alive. With Rush in the group, the bid was going to fail. Upon further review, Mr. McNabb, the last laugh is yours. The belief (sic) on the Right fringe that President Barack Obama is not an American just cost one leading "Birther" $20,000. Thanks to the commenter "Paul." We're closing in on the one-year anniversary - - October 22, 2008, to be exact - - when Federal Highway Administration reviewers came to Milwaukee and asked the public for input about how the Southeastern Wisconsin Regional Planning Commission was doing its job. It was quite the hearing/non-hearing: here's my blog account of how it went that day. Every four years, the feds conduct this review, and without renewed certification at the conclusion, SEWRPC would lose its ability to greenlight major transportation projects in a seven-county region. The review report was promised in March, then May, then the feds stopped responding to inquiries about when the report was to be forthcoming. An inquiry more than a month ago from the office of US Rep. Gwen Moore did not produce the report, either. The report that followed a raucous 2004 certification review found deficiencies in SEWRPC's outreach efforts, an understatement that was finally addressed in 2007 when SEWRPC created an Environmental Justice Task Force. Despite the task force creation, two civil rights complaints against SEWRPC are still pending with federal agencies over alleged discrimination in project selection, hiring and advisory committee appointments: how the feds will recertify SEWRPC with these complaints hanging over the agency's Pewaukee-based managers is anybody's guess. But inviting the public in to deliver opinion and suggestions for agency approval, then delaying the findings of the federal review, is justice delayed and input wasted. The New York Times reports pollution runoff at coal-fired plants nationwide from airborne emissions that enter surface waters: several We Energies plants make the list. The Times story - - here - - also says there are gaps in enforcement, and confusion over which laws apply, further complicating the picture. The irony is that scrubbers are successfully removing pollutants that used to pour into the sky, but which now are released as runoff. The story does not say precisely which chemicals run off at which plants across the country. USEPA data supports the story. I was involved in the City of Milwaukee's 2000 effort to boost census awareness, and I know that the efforts paid off with a full, and more accurate count. I learned the same had been true for Milwaukee during earlier census counts. Which means a greater share of federal and state dollars was fairly won by Milwaukee and Wisconsin from programs whose budgets are apportioned by population. Large cities have historic counting problems because many immigrants - - legal and illegal: all count, and are counted without recrimination, because governments provide services to all residents, regardless of immigration status - - do not want to give a census taker any information. And there are language barriers that make the counting inaccurate. * At a Common Council meeting later this month, Waukesha aldermen will be asked to authorize requests from three potential Lake Michigan water suppliers - - the cities of Milwaukee, Racine and Oak Creek - - for those cities submission of sellers' letters of intent. * At a Common Council meeting in December, the formal application will be rolled out to the public for review and comment, with more meetings to be held that will give the public an opportunity to ask questions more directly than people were permitted tonight. Officials and consultants spoke, or took questions from other officials, for 115 minutes of the 123 minute meeting tonight. Six written questions from a small audience - - held down perhaps bu having heard that only written questions were to be taken - - were handled by officials in a lightning-quick eight minutes; none of the questioners had an opportunity to ask a follow-up question, though officials who posed questions did. 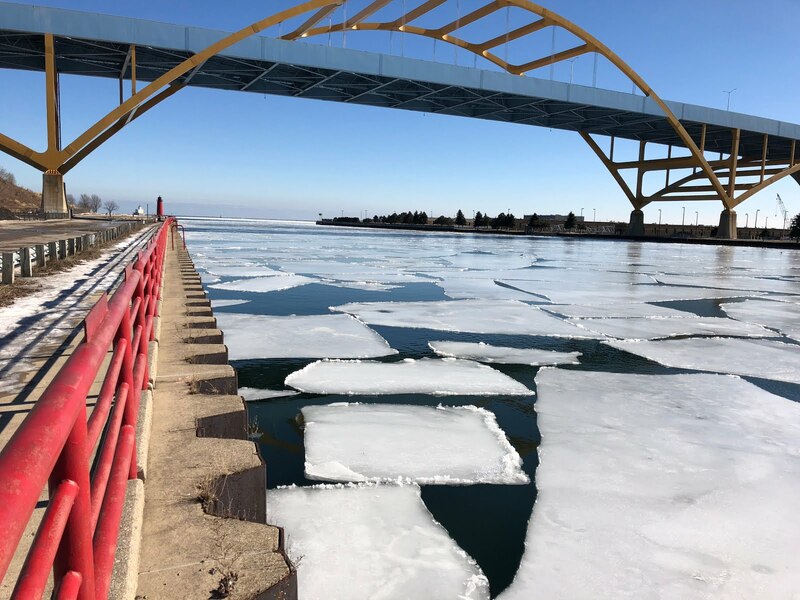 * By February, the application will be forwarded to the Wisconsin Department of Natural Resources for a 90-day review that is called for by the Great Lakes Compact. * Another 90-day review is called for by the other seven Great Lakes states, and their unanimous approval is required for the diversion to be approved. There could be delays in one or both of these 90-day review periods that could push a final approval to the end of 2010. * That would leave Waukesha seven and a half-years to complete a pipeline, presumably from Milwaukee, and a return flow pipeline to Wauwatosa and Underwood Creek - - a construction period estimated at five years. * The capital costs associated with the Lake Michigan scheme would be about $78 million in pipeline costs, with an additional estimated $5+million a year in operations and maintenance costs also in the picture. * Shallow wells (at the so-called Lather's property that is now in a Waukesha condemnation proceeding ) will also be pursued as a back-up supply in case there were a Lake Michigan pipeline failure; the city's deep wells with radium contamination would be closed, however, achieving system savings. Customers running water softeners to treat the harder, deep-well water will be able to eliminate them and save some money, though clearly, rates will rise. Waukesha officials repeatedly said time was of the essence, and they did not have the luxury to wait as a 2018 water quality compliance deadline approaches. All this, of course, is predicated on there being no major setbacks in the application reviews - - and I have been predicting for some time that one or more states will find major flaws in the application - - as they did in New Berlin's far-simpler application - - which would then require major rewriting, even rethinking by Waukesha, and perhaps state officials. * Waukesha's intent to send some diverted water under some conditions - - either heavy rains or drought - - down the Fox River, and away from the Great Lakes Basin - - something the Compact does not allow. Waukesha says it will be returning water everyday to Lake Michigan. The questions could be: is the return flow enough, and to get to a required amount, can it include diverted water that is co-mingled, as Waukesha says it could, with some out-of-basin water that infiltrates through its water system pipes and towards its treatment plant? * Has Waukesha adequately studied alternatives to a Lake Michigan diversion? At the meeting tonight, officials said they had dating back to a 2002 study. We'll see if the other states are convinced that in those additional alternatives - - namely shallow wells to the west and south of the city - - there aren't water sources the other states will say meet the Compact's reasonableness standard, thus obviating the need for a diversion? * Is too much new land included in the city's big new water service delivery service area, and is growth, rather than current water needs, driving the push for a diversion? The Compact, a water management and conservation document, says the narrow exceptions to diversion prohibitions must be based on genuine need, and expanding a community's land mass and tax base aren't included. Finally: two aldermen expressed concern in one way or another about whether a selling community (that presumes Milwaukee) can impose conditions on the buying community - - Waukesha. These were references to the City of Milwaukee's well-known official policies that require a water-buying community like Waukesha to meet Smart Growth, affordable housing, transit and other developmental conditions in order for a deal to be struck. It sounded like the aldermen didn't want Milwaukee to tell Waukesha to tell it what to do. I think for a variety of regional and Basin-wide reasons that Waukesha's application has a tough row to hoe - - and let's not forget that there are some local residents worried about the money that will be paid in rates and fees to Milwaukee, not to mention the tens of millions of dollars in construction and pipeline operating costs that officials said would come solely from water rates (or perhaps with some federal grant help), but not through property taxes. As the debate intensifies over shipping Milwaukee water to Waukesha, and let's be frank; the DNR's refusal to write rules governing the diversion application process gives Waukesha inside-track momentum - - you will hear a lot about the need for Milwaukee to be a willing, cooperative supplier because Regional Cooperation demands it. In our region - - artificially defined for planning purposes by state officials more than 50 years ago as a seven-county urban/suburban/rural combine - - Milwaukee, Waukesha, Ozaukee, Washington, Walworth, Racine and Kenosha Counties - - Regional Cooperation often mean a dutiful sacrifice of resources by Milwaukee to the others. Land downtown in the Marquette Interchange for wider ramps and new lanes tor suburban commuters? Take what you need. Is eleven miles enough? And the rest of the I-system, from Story Hill to the Zoo Interchange? Help yourselves to homes, businesses and land worth tens of millions in taxable dollars. But saving the lone bus route to the New Berlin Industrial Park? Light Rail that crosses 124th St.?? Oh, no way. Awful idea. Over our dead bodies. Participation by Waukesha County in a regional transit authority? Commitment to affordable housing? Hey: isn't that Milwaukee's role? But making a water deal? Why - - that's Milwaukee's obligation. It's Regional Cooperation 101. New Berlin set the precedent, getting away with paying Milwaukee a payment (above-and-beyond the bargain water rates set by the Public Service Commission) $75,000 annually for 20 years - - a pittance, relatively speaking, that will not make a dent in New Berlin's affordable housing, transit and other regional imbalances. But back to Milwaukee's existing, yet unrecognized regional generosity. In 2005, Milwaukee commissioned a study to find out what share of its city contracting went to minority firms. A small percentage, the study found. But Waukesha County made out nicely, in part because many of the construction firms that do business in the city are based in Waukesha County. Based on the year 2005, two-thirds of Milwaukee city construction contract dollars, and 47% of all $174 million contracting dollars - - $82 million - - went to Waukesha County-based firms. You can read the county breakdowns in charts, here. That's a hefty resource shift from city taxpayers to a county where isolating Milwaukee residents from jobs, affordable housing and other amenities and activities is traditional and often institutionalized, and Milwaukee-bashing can be good politics. So let's remember that there is already a high level of resource-sharing with Waukesha by Milwaukee, and that there should be a bit more gratitude in the attitude west of 124th St. In what will be a carefully-controlled and choreographed meeting, Waukesha's Mayor and water management staff will present some information about the impending application for a Great Lakes diversion. Some background information, along with details about where and when you can listen, and submit written questions only, are here. US Sen. Lindsay Graham, (R-SC), says he can support climate change legislation in the Senate. A bill has already passed the House, so it could be that legislation can be approved, reconciled and signed this year. That would be a plus for the environment, the national grassroots organizing underway in favor of the bill, and also for President Barack Obama, as he had made it a top domestic priority. What Portion Of The Right's Obama-Nobel Mocking Has A Racial Connotation? Just an opinion and impression, but I'd put the factor around a third to a half, at least, and I would put the percentage even higher when it comes to the so-called Birther movement. Sample, here, where the word "joke" is the theme. Or from Virginia, where a GOP Lt. Governor candidate is playing to the Macaca faction. The Birthers do not believe Obama was born in the US and is therefore holding office illegitimately. In other words, Obama, the ultimate outsider, just can't really be President. Deep down, there is a percentage of Americans that just cannot accept a Black President, and the unwillingness now extends to some who see Obama also unworthy of receiving a prestigious international accolade - - that came to him unsolicited. 2010 is the year by which nearly all Wisconsin communities will need a Smart Growth plan in place. Most have them, some do not, and residents in all will need to make sure that the plans are completed, and then implemented. 1000 Friends of Wisconsin, a leader in this struggle, has plenty of good resources for local officials and citizems on its website, here. Democrats are still without strong consensus candidates and primary choices for Governor in 2010, even though they control the Governor's Office, both houses of the Legislature, and won the Presidential election here in 2008 by more than 200,000 votes. This is not a complex agenda, but it has to be embraced, articulated and repeated from Superior to Stevens Point to Madison to Milwaukee. Democrats apologetically must define the issues, promote and frame them for a campaign, remember their roots and deliver on a focused program and platform in an election that is still more than a year away.. They need to remember that Wisconsin is a blue state and commit to keeping it that way. The online portal OnMilwaukee.com will be carrying a weekly posting from me: the first - - linked here - - discusses Waukesha's probable precedent-setting application for Great Lakes water, and a public relations driven semi-hearing/open house set for this coming Monday night at Waukesha City Hall where some details of a closed application-writing process will be revealed to the taxpayers who have funded the effort. The World Likes Obama: Can The American Right Deal With That? Despite talk radio's upset today - - and isn't it interesting that these nay-sayers couldn't just say, "Good for America" - - what we learn about the rest of the world is that it think's Obama's election itself makes for a planet where peace has a better chance of taking hold. Charlie Sykes tossed a good portion of his AM620 WTMJ radio talk show this morning to Scott Walker, live, so the County Executive/full-time GOP gubernatorial candidate could promote his candidacy. Nothing new about that: Milwaukee talk radio is perpetually the megaphone of the GOP, with gifts of air time that would cost in the hundreds of thousands of dollars during campaign cycles if it were bought for only slightly more overt political purposes. Most fascinating bit this morning came when Walker and Sykes were lauding Walker's spending control in the county exec's proposed 2010 budget, yet when Sykes asked Walker what he thought of Mayor Tom Barrett's relatively modest cuts in police and fire service spending - - four days of furloughs for the coppers, and one less firefighter on certain rigs - - Walker slammed the cuts. So if you are Walker, your spending controls are gratuitously praised as the foundation of what a Walker state budget would look like. But if Barrett tries to spread spending cuts across-the-board in the city budget, that's a sin. Walker and Sykes must fear a Barrett candidacy if they feel obliged to turn their beliefs upside down in order to criticize the Mayor. Thanks to all the readers. Coming soon, it appears, and I don't think talk radio can stop this one. A coup for the city and that environmental journalism conference there. A national health publication notes that Milwaukee internist Ian Gilson attended a recent and highly-publicized White House physicians' meeting on national health care reform with President Barack Obama. "'You may not understand this as a personal issue, but we see it all the time," Gilson said. "One of my patients invited me to a community forum after I spoke to him at an appointment. I told the stories about what I see at a free clinic where I work. Those stories I can bring with my own experience. The feedback I got was emotionally very powerful.'" The diagnosis and prognosis, here. Don't jump to the conclusion when reading this story that there has been a successful test of coal-fired generating station carbon sequestration - - a process that King Coal hopes will keep coal generating plants running far into a cap-and-trade future. This isn't a knock on the author, the expert writer Tom Content. It's just that seeing the headline, "Test results: Carbon capture works at Wisconsin coal plant," gets one thinking that maybe carbon sequestration - - safe burial, if that can be achieved, is looming. The test showed that carbon can be chemically captured from the smokestack - - but because the test was conducted at a Wisconsin plant that is not near possible sequestration rock formations, the CO2 gas that was captured was then released into the atmosphere! So CO2 capture works - - until you let it go. Maybe another utility could have performed the test, and that sequestration could have been attempted at the same time. Call it a semi-hearing/open house of sorts: Waukesha officials, hard at work behind the scenes on an application for a Lake Michigan water diversion, will show some of their taxpayer-paid hand Monday, at 7 p.m., in the Common Council chambers in City Hall. The address is 201 Delafield St. Questions are taken from members of the Water Utility Commission and Common Council. Written questions are taken from the audience, giving officials control of the dialogue. Waukesha officials say that there will be more public meetings and hearings...later. That's true, but by that time, the decision to file the application will be further set in stone, and the impact of public participation will be further diminished. 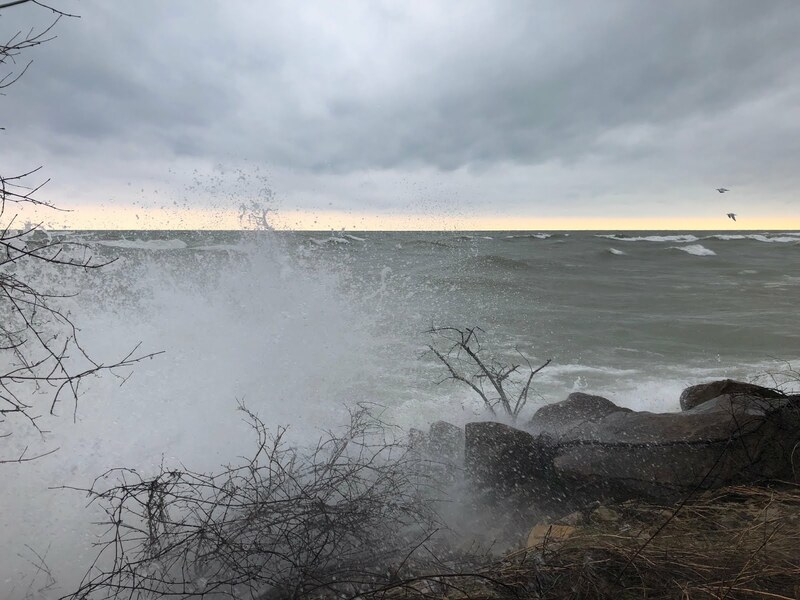 Officials also stress that their application for Lake Michigan water is in the "potential" phase, but it has had a brace of consultants, lawyers, public relations specialists and city staffers working on one phase or another of the process since 2004. The application for the diversion, including the return of water to Lake Michigan via the city's treated sewage using Underwood Creek in Wauwatosa, is a foregone conclusion - - made more likely by the willingness of the Wisconsin Department of Natural Resources to accept Waukesha's application without having drafted administrative rules governing what an application will include. Waukesha has argued that the DNR has done this in other regulatory questions, but you'd think the huge effort extended in the state and across the Great Lakes region for years to produce the Great Lakes Compact, and the significance of protecting the planet's biggest supply of surface freshwater, would have led the DNR to have rules at least in draft form before accepting an application from Waukesha the agency has long known is coming its way. Remember: Waukesha's application for a diversion outside of the Great Lakes basin will be the first of its kind under the Compact - - an eight state agreement with two Canadian provinces that has also been approved by the US Congress and signed by the President. The DNR's refusal to write basic rules for such diversion applications will not sit well with the seven other Great Lakes states that also have to approve Waukesha's application. For Waukesha, it's knowingly rolling the dice. For the DNR, it's precedent-setting benign neglect for a precedent-setting water diversion. I expect to hear some palliatives parsed among the platitudes about this, among others, come Monday. Melissa Mallot explains in a Journal Sentinel op-ed why it's crucial to get Wisconsin's Congressional delegation fully engaged in promised Great Lakes restoration funding. There is no better way to guarantee cleaner water in Lakes Superior and Michigan that the Great Lakes Restoration program. Madison leaders understand the value of libraries, and the need for a major city to have a state-of-the-art facility in the downtown. UWM's School of Architecture and Urban Design will again run a free Friday lecture series this fall; the November 6th session will focus on local efforts to start a chapter of the Congress for the New Urbanism. Discussions are usually held in room 170, beginning at 4:30 p.m., with excellent panelists. More details at this site. And Lord knows, this region could use a dose of better planning involving real people. Example of the deficiencies, here. The draft master plan has been placed on that site, along with a feedback form, available until the end of the day, Friday, November 9th. Get Ready For Bigger Government, More Borrowing - - Financed By Stimulus Dollars - - And Guess Who's Behind it? Now who would go off and promote more Big Guvmint these days? Must be a Democrat, for sure, right? Nope: It's Milwaukee County Executive Scott Walker, who has hatched a scheme to create an economic development agency - - using stimulus funds (remember when he said he'd turn that money down) - - even though there is already the City of Milwaukee Department of Development doing that very thing just a few blocks away from Walker's courthouse office. Steve Schultze at the Journal Sentinel had the story last week: I was out of town and missed it. Now I'm sure this has nothing to do with Walker's bid for the GOP gubernatorial nomination for Governor, nor will Walker see anything contradictory in taking stimulus funding, or expanding the role of government into the private sector. County board supervisors from the City of Milwaukee, however, where most of the county's residents live and pay taxes, might wonder if the program's stated goal - - development in the county's smaller communities - - is in the city or county's best interests. From here, it looks like a bad deal for city taxpayers - - kind of the way SEWRPC takes County money and focuses it on planning for the suburbs and faraway out-counties - - while duplicating ongoing city efforts. It has all the trappings and policy substance of campaign brochure text, and little else. A State Senate Committee Tuesday endorsed raising a portion of mildly-toughened OWI enforcement costs through a 50-cent-per-liter tax increase on hard liquor. Never the less, Charlie Sykes is in high rant this morning, warning that the tax money will somehow fall under the control of WEAC, the road-builders or the trial lawyers, and more tax increases will follow- - on fast food, sugar, and so on. Can you imagine living with such a fear-driven and irrational state of mind? The politics of the issue continues to be predictably disappointing. Legislators trumpeting their bold move shied away from any tax increase that would fall on Wisconsin-produced wine, and especially beer - - the beverage that really defines the state's drinking culture. Legislators in Wisconsin are too controlled by alcohol lobbyists to spread the enforcement, treatment and education costs among all alcohol products. As with the legislators' unwillingness to criminalize all first OWI offenses, and to brag about a 'reform' that makes some repeat offender's fourth convictions a felony, the small tax increase on hard liquor is more Legislation Lite - - and unlike what you hear on talk radio - - this failure of will is where criticism of the Legislature should be directed. You want to know how dysfunctional it's gotten at SEWPRC - - the Southeastern Wisconsin Regional Planning Commission? Let me reduce it to ten simple steps. 1. In December, 2005, SEWRPC selects a 31-member, all-Caucasian advisory committee to write a plan to address regional water supply issues. 2. The committee, with participation and direction by and from SEWRPC senior staff, drafts a study work plan focusing on engineering and scientific data, cost-benefit analyses, and other parameters that do not include potential socio-economic consequences of various water supply solution alternatives - - like sending Lake Michigan water to fast-growing suburbs west of Milwaukee and into Waukesha County. 3. A clamor of opposition to SEWRPC's exclusion of minorities and low-income communities from various committees and other SEWRPC activities and policy-making (and payrolls) leads to SEWRPC establishing an Environmental Justice Task Force. 4. After a protracted fight, SEWRPC accedes to the Task Force's desire to add to the water study - - and all future SEWRPC studies - - an independent analysis of socio-economic consequences. As if you need to force a regional planning commission that such an analysis need be done - - underscoring, again, why Milwaukee is ill-served by the current planning commission structure..
5. Anyway: the water committee is all but done with its study, sends out , for comment its preliminary recommendations that include moving Lake Michigan water to Waukesha and other communities - - where there are relatively few minorities and low-income residents compared to Milwaukee. 6. At the 11th hour, SEWRPC agrees to hire a consultant - - an economic development institute at UWM - - to somehow add a socio-economic analysis to the water study recommendations. The consultants at UWM will get 90 days to do their work, though the rest of the study has taken about four years. And how the new relatively-short new study gets added intelligently and meaningfully to the pending recommendations - - which have already had a round of hearings and comment periods - - is anyone's guess. Will it become an add-on? An appendix? Or a genuine guide to policy-and-decision-making that will require revisions to the water supply recommendations? 7. Today - - Tuesday - - the water supply committee met and got an update from current executive director Ken Yunker on the 90-day socio-economic study that is supposed to start soon. Committee chairman Kurt Bauer, SEWRPC's first executive director going back to the late 1960's - - and now executive director emeritus and a paid SEWRPC consultant - - grumbled about yet another delay to concluding the study. Had Bauer or other SEWRPC staffers encouraged the committee to look broadly at the issues at hand - - if SEWRPC had taken socio-economic issues seriously over the years and decades - - none of this would be needed now. 8. Carrie Lewis, Milwaukee's Water Works manager and the city's lone representative on the committee, said aloud at the Tuesday meeting that she hoped this new wrinkle wouldn't add another five years to the committee's work. 9. Lewis asked Yunker if the committee could make suggestions for the scope of work that the socio-economic consultants at UWM are negotiating with SEWRPC. 10. Yunker agreed, and said the committee would also receive the consultant report (along with the Justice Task Force) - - meaning that the very committee that overlooked the entire environmental justice issue in the first place now gets to help tell the consultants who are going to fix that omission what the study scope should include, and then will be in a position to review those findings.